Sending out Surveys: It’s All About Timing? Get the Timing Right! Just like in comedy, successful surveys rely on impeccable timing. Why: Inboxes are usually emptier. Why not: Mondays are busy, so taking a survey may not be a high priority. Our verdict: Probably best to send survey invites in the afternoon. 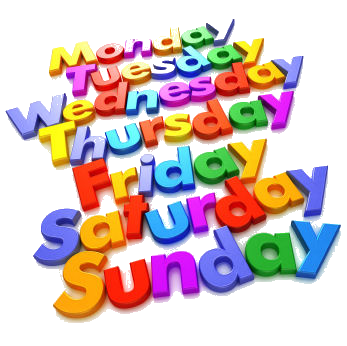 Why: Most people have planned their week, allotting time for emails. Why not: Today is NOT a good day if you have scheduled weekend responses for your survey invites. Our verdict: Distribute survey invites only if you want to receive responses during the rest of the week. Why: Work schedules are usually lighter on these days, so your invite might catch the participant’s eye. Why not: Unfortunately, survey invites sent on these days compete with work deadlines. Our verdict: Send survey invites in late afternoon — participants may be ready for a work break. Why: Studies indicate that fewer emails are sent on Fridays, so your invite might be seen. Why not: It’s FRIDAY! Most people have already checked out. Our verdict: On Fridays, send your emails as early as possible. Why: While some people might check emails on weekends, your invite had better be attention-grabbing. Why not: You don’t want to alienate those who find electronic communication intrusive. Our verdict: For higher participation rates, skip Saturday and focus on Sunday. Focus on Wednesdays and Thursdays — you’re competing with fewer emails and lighter work schedules. Of course, this isn’t an exact science. So try sending invites on different days of the week to see what works best. Just remember: No matter what day you choose, a well-structured survey with a personalized, engaging invitation will ultimately make all the difference.